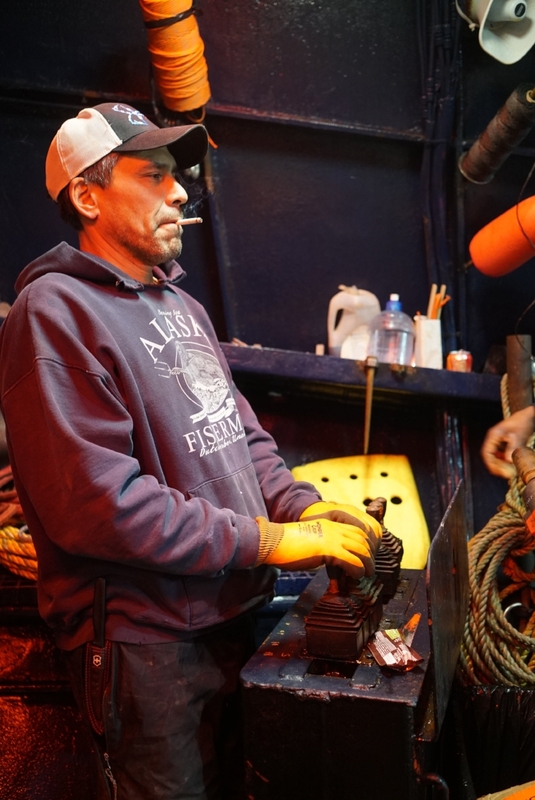 Ole is the most veteran of Jake’s crew, having began his crabbing career in 1972. “If there’s a bounty on its shell, I’ve fished it,” he says. Ole fished with Sig Hansen’s dad, Sverre, and he once spent 4 hours evading Russian capture while fishing for Opies. Ole captained and owned his own boat, the Arctic Dawn, which was featured on American’s Deadliest Seasons, the progenitor to Deadliest Catch. He’s been out of the game for a while, but he’s come out of retirement to return to what he knows best: crabbing. This season, Ole returns as chief engineer on the Saga and the boat's comic relief. What most people don't know is that Ole might be the closest thing to a father that Jake will ever have. Sean started fishing straight out of high school. That was 30 years ago, and he’s been doing it ever since. 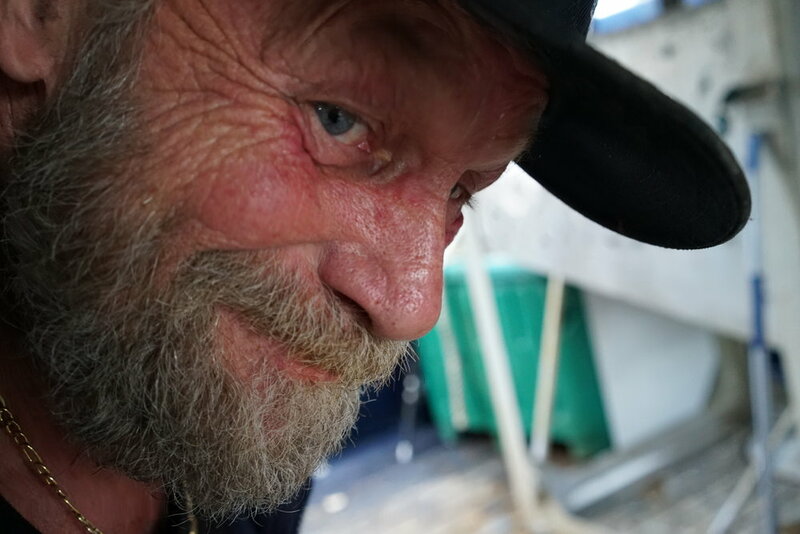 Recently, he's been fishing Dungeness crab, to dismal results, and was more than happy to accept Jake's offer of a spot aboard the Saga. He's returning to Dutch Harbor for the first time in three years and is eager to reunite with old friends and get back to the Bering Sea. 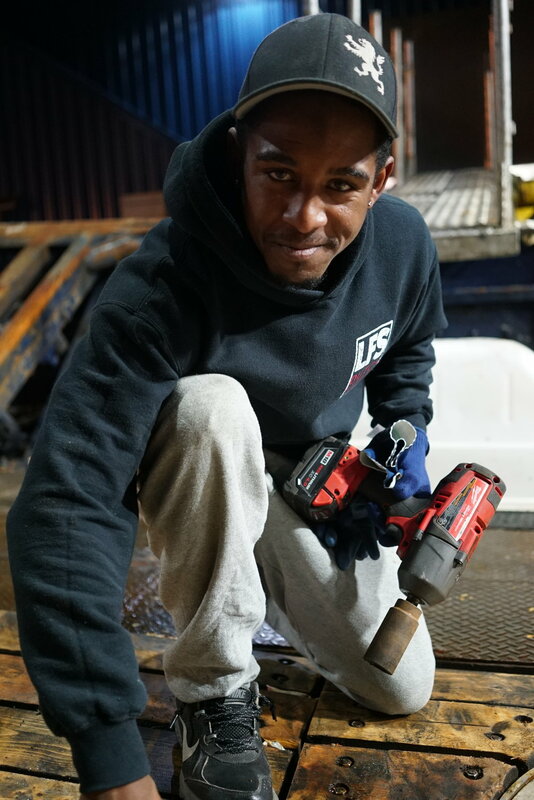 Sean loves being on deck, preferring to sweat and work it out with his brothers than to sit in the stuffy wheelhouse. Despite his affection for fishing, he considers it the ultimate love-hate relationship: "When I'm out there I hate it but when I'm home I miss it. It calls to me." 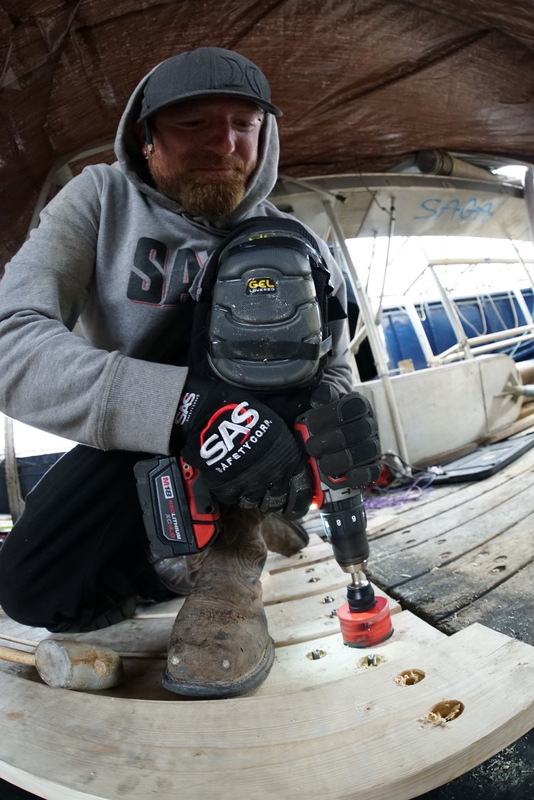 Like any veteran fisherman, Sean's got lots of tales to tell, especially from the frenzied derby days of crabbing.